From handlebar mustaches to glitter beards, Advanced Technology Group (ATG) employees were a very hairy bunch during the month of November when they gave up shaving to raise funds to fight prostate cancer. The company raised almost $4,000 during No-Shave November. 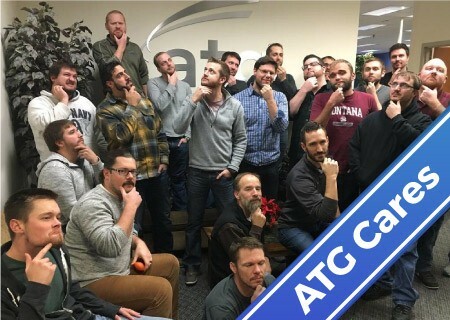 This is the fourth year ATG has participated in No-Shave November, a national effort to grow awareness for prostate and other cancers that affect men. 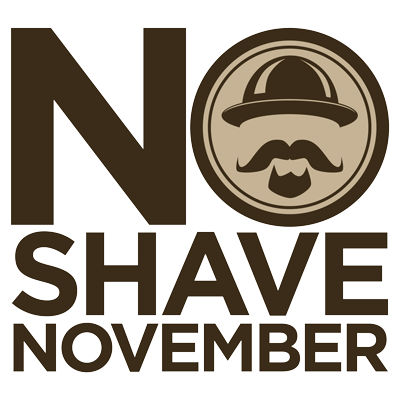 The goal of No-Shave November is to grow awareness “by embracing our hair, which many cancer patients lose, and letting it grow wild and free,” according to the no-shave.org website. Participants are required to put down their razors for 30 days to help raise funds to support cancer prevention, research, and education. 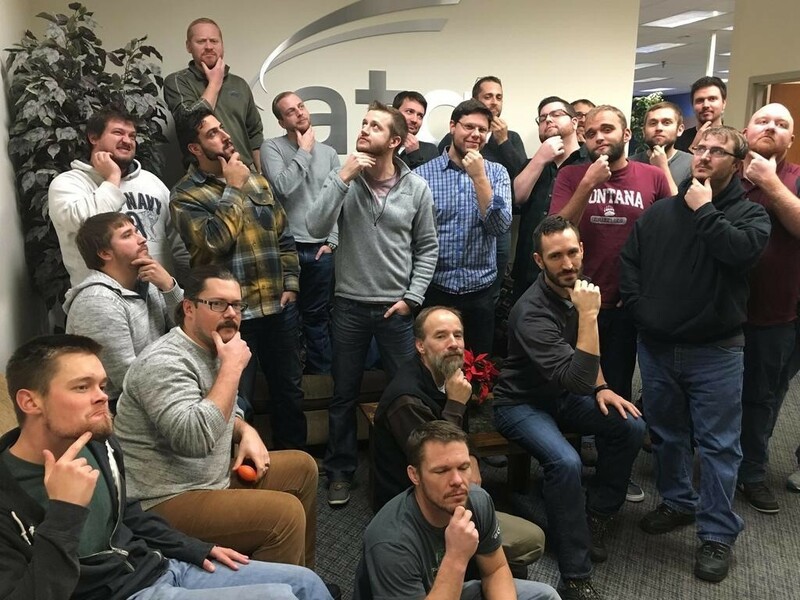 ATG had “an overwhelming enrollment” this year, with almost everyone in the company’s six offices participating, according to Jason Anderson, manager of delivery services at the Missoula office and coordinator of the company’s No-Shave November fundraiser. Sponsors (those who did not want to participate in the no-shave festivities) could donate $1 a day to the cause in honor of participants who didn’t shave, and the money went to the Prostate Cancer Foundation. ATG got creative with the fundraiser and developed a variety of competitions, Anderson said. Participants could win awards for the creepiest mustaches and the best beards, Anderson said. For those who could only grow “peach fuzz,” there was a Best-Try category. There were also Beard Basher challenges where participants had to shave mustaches into funny shapes or buy out of the challenge. Ladies judged the contests and could also compete in a “Make Your Own Beard” category.